Before many readers read today’s column, the ceremony marking the 40th day funeral rites of the late former President Ahmad Tejan Kabbah (Photo) would be far advanced. I was at the late former President’s Juba Hill residence on Wednesday, along with hundreds of family members, supporters and friends of the late man. 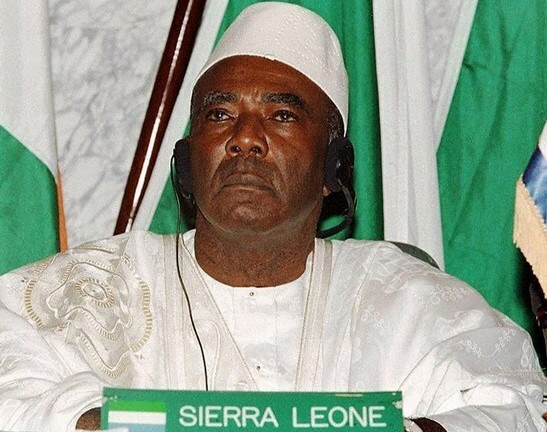 Among them were some members of the opposition Sierra Leone Peoples Party (SLPP). They included some supporters of the current national chairman – Chief Alhaji Somano Karpen, as well as those of his challenger – Ambassador Alieu Bangura. At some stage chief Karpen exchanged some humour with some of his opponents’ supporters; unfortunately I didn’t hear what the joke was, but it couldn’t have been great, because the laughter sounded subdued. Be that as it may, it was a gesture worthy of note, especially as the supporters of both groups – along with their legal representatives, had been in court earlier in the day. Yes, they were there in an effort to persuade the courts to take a decision in favour of one party or the other. I seized the opportunity to ask in an audible voice, why the opportunity of Tejan-Kabbah’s 40th day would not be seized upon to begin peace talks, aimed at reconciling the two factions. 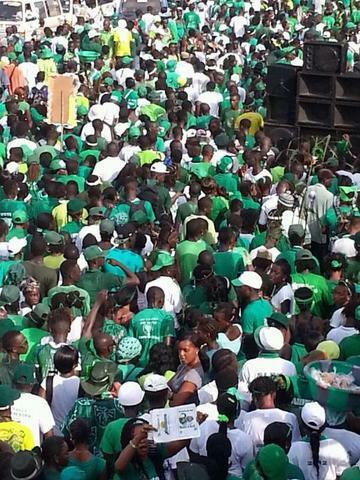 (Photo: SLPP Chairman – Kapen). I pointedly asked Alpha Timbo, whom in spite of some views to the contrary, I continue to regard as forthright – but cool headed party member. Alpha Timbo and I have travelled quite a distance. I came away with the impression that indeed, there were moves in that direction. If so, I will again ask Issatu Jabbie Kabbah (IJ) at the end of Friday’s ceremony, to take the initiative and invite the factions to her residence – under the glare of Tejan-Kabbah’s portrait. 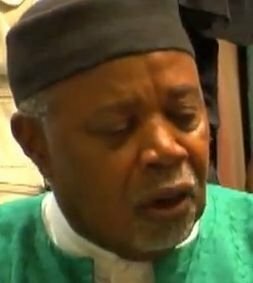 I remain convinced that this is the only alternative that we have, and whichever way, the pending court decision with respect to Chief Kapen and Ambassador Bangura (Photo), can only exacerbate the disunity within the party. In the meantime the APC government continues its selfish ‘Agenda for the Prosperity’ of those who belong, while the rest of the ordinary people continue to wallow in their deprivation and misery. As if that by itself is not bad enough, the sycophants, yelebas and boot lickers, as well as the purely selfish ones – like Robin Faley, continue to sing those songs that dragged us as a nation, down the abyss of 1991 through to 2002. The fellow was probably basking in the safety of the United Kingdom, and had no idea that his native Segbwema and Daru towns remained the only inhabited towns in Kailahun district, the transient rebel incursion into the former town notwithstanding. 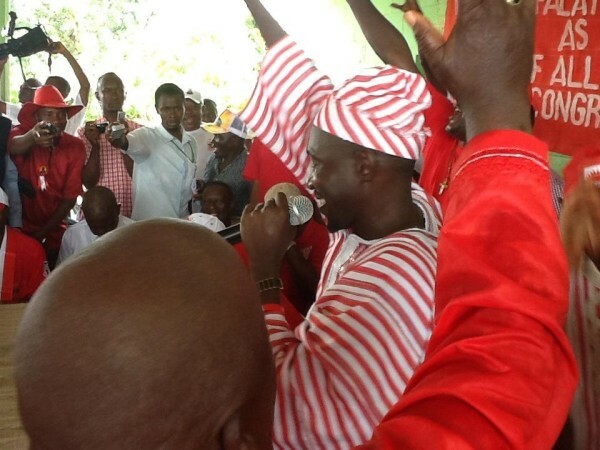 Having lied to President Koroma about winning Kailahun district for the APC, he is now keen on covering his shame with his propaganda hypocrisy, calling for an extended term of office for the president. But could Faley (Photo) be speaking, based on overheard murmurings in State House? While all this is going on, the high cost of living is shortening the lives of many of his Excellency’s subjects. And in the meantime, a High Court judge that grants within thirty-minutes, an extensive injunction to an SLPP minority leader, who may have lost the confidence of a majority of her colleagues, had three times postponed court sittings, on the grounds that his official vehicle had broken down. In the meantime, there is a massive construction explosion of luxurious houses – from Aberdeen and the western area peninsular to Makeni, Kono and beyond. Almost everyone is aware of the ownership of many of those new buildings, except perhaps the Anti Corruption Guru, who may have a stye in both eyes. Drop the personal hurt and pride; drop your pique, and even your perceived rights. The only right that exists in the party is the one belonging to the SLPP. So join hands and rescue the majority of Sierra Leoneans from the current economic downturn, suffered under this APC government. 2017 must be a year for change, whatever the manoeuvrings of the Chief Electoral Commissioner – Christiana Thorpe and her specially assembled team. Delay would be most unhelpful. Our friends are already beginning to despair. Should such strong advice not have been offered before the seed of discord was hatched and the damage done? Why does it have to take the passing away of President Kabba, who was loathed by the pa-o-pas because they accused him of a sell out to APC without a fight, for Dr Banya to now use his funeral to call for peace? Was this not appropriate when he was alive? To call for people to drop their rights, the opposing party in conflict must be also prepared to be honest and fair. The defacto NEC is over populated by hotheads and fanatics, who would not compromise their commitment to impose their candidate Julius Maada Bio on the SLPP. They were all elected unopposed when the Ali Bangura’s group claimed foul play – citing irregularities and walked out. This is now being adjudicated by the court. Thus the NEC composition, as it is at president, is 98 percent pa-o-pas, excepting Chief Sumanu and possibly the converted Tejan -Sie. With this set up, and in an atmosphere of the unofficial flag bearer campaign begun, there is genuine fear that the NEC can change, amend or enact any provision in our party’s constitution to favour and promote Julius Bio’s re-election bid.